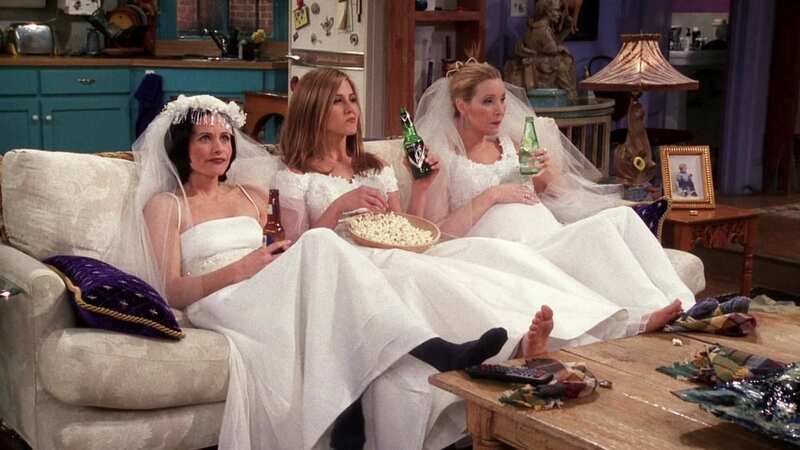 You might remember the episode of Friends where Monica, Rachel, and Phoebe get depressed about being single and decide to cheer themselves up by wearing their wedding dresses around the apartment for the evening. (Spoiler Alert: it totally works). 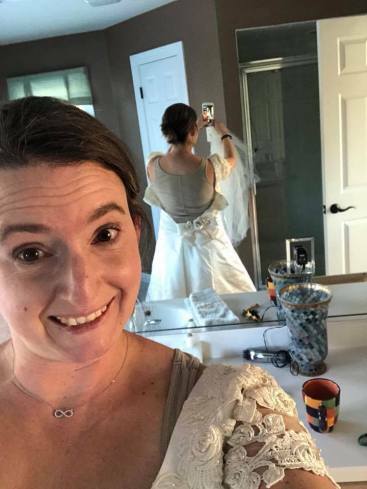 The truth is that all brides are probably a little bit sad that the dress they dreamed of, the dress they adored, the dress that made them feel prettier than they’ve ever felt (and yeah, the most expensive one-off piece of clothing ever), is something that’s only socially acceptable to wear twice. Which is why Scary Mommy contributor Christine Burke and her friends decided there must be a way to bust those puppies out of their boxes once again. 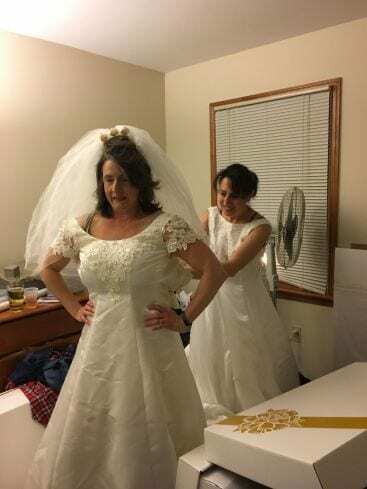 Unbeknownst to their husbands, she and her group of friends decided that they would surprise their spouses by coming to a New Year’s Eve party clad as they were on their wedding days. Mostly. Duct tape FTW, again and again. 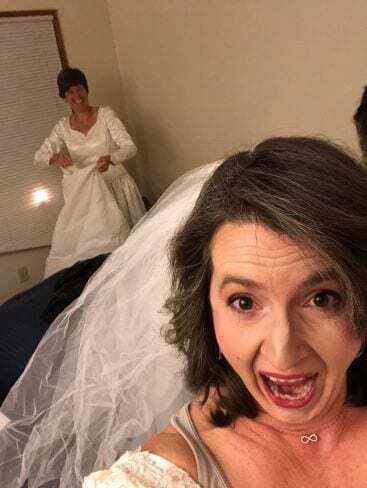 And fun was had, with the women laughing until they cried (and peed) while getting dressed together, then again when their husbands got a glimpse of what they’d been up to over secret group texts for weeks. 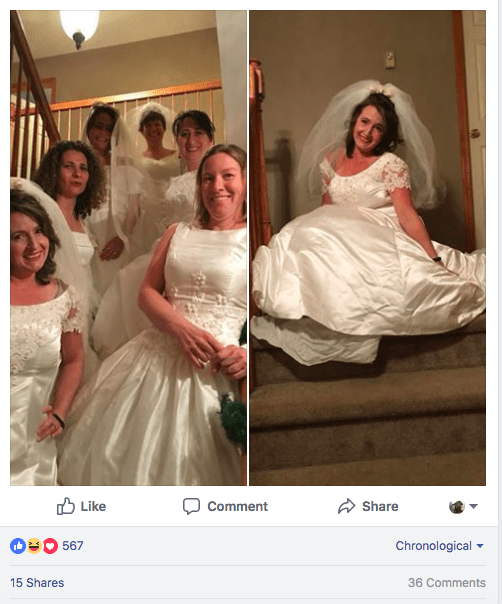 The Internet loved the idea, and Christine and her friends are currently looking for other venues where they can display their beautiful old dresses. They encourage you to do the same.